As from today, Google Chrome will not display any web-pages on my Vista 32 PC, unless I turn Webroot completely off, when it miraculously works perfectly again. It was fine before but something has changed overnight (UK time) and the fault started on start-up this morning. Chrome works fine on other machines which do not have Webroot. Other posts on the Google Chrome Forum confirm I am not the only one. Does anyone have an answer please, apart from the obvious ones of looking elsewhere for my virus protection or using another browser ? Have you tried to install chrome in c: Program Files? I'm having the same issue. As soon as I disable Webroot, Chrome works fine. I'm currently using Windows 7. Welcome to the community. We are getting alot of new members here...which is great. And the most important is not to give up on WSA because you can always open a Support Ticket or yes it doesn't hurt to change browsers until you or the community can advise you with your issue. Also remember to post back if your solution is fiixed s to help others...Keep us posted..
Hello Caravelle & RustyNutz and Welcome to the Webroot Community Forums! I believe what you are seeing is due to the pace at which Chrome is being constantly updated. And I believe Webroot are working to eliminate these issues. 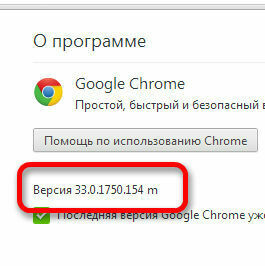 The issue may be resolved by a reinstall of Chrome, if you want to try. Hello RustryNutz, Great to have you onboard...I'm running the new update of WSAC on my Mac and other W7 pcs. So Im not having that problem. Sorry that you have same issues as ous other new member. Hopefully our otther members can help to reslove this since I cant duplicate the senario. Further to @Ssherjj tag, I have just checked and I am certainly not having any issue with Chrome & WSA. As Dermot has recommended as an interim measure just disable the Webroot Filtering EXtension via the ToolsExtensions option in the browser, note the version of the Filtering extension that you now have disabled and get a Support Ticket open, with that in formation in it. Whilst not ideal you will be very well protected by WSA's other modules despite the Filtering extension being disabled and hopefully Support will resolve the issue fairly quickly. Please take time if you would to post back on how the issue is going/when it is resolved as all of this information is useful to future users who may contact the Community with the same or similar problems. I checked, this problem at me isn't reproduced. Caravelle / RustyNutz...I think that this only reinforces Dermot's recommendation that this is one for the Support Team; usually the case when an issue like this appears to be sporadic, as re. this one. Hello Baldrick, love your string of smiley faces by the way. And this forum is pretty peppy on a Sunday. .everyday we learn so much from you all and our new members asking just great questions. .but its not always fun for the ones posting is it? Hope everone has a great week Monday. .. I have been reading this thread, as I was having the same problem with chrome not doing anything until I disabled webroot. So I thought that I would create an account to let you know what has worked for me as a temporary fix. However I have just tried turning off the identity shield and opening up chrome again and it seems to have fixed the issue. So for me at least the problem is with the Identity shield, as I had tried individually turning off the other protection aspects of the webroot with no luck. Not sure if this is the same for everyone else, but worth a try. I have been reading this post as I was having the same problem with chrome not doing anything until I disabled webroot. Many thanks for reporting your findings. Thanks for the feedback...much appreciated. But would you also please Open A Support Ticket to let them know that you too have had the issue and what you have found when disabling the Filtering Extension? It is important that they get as much feedback as to how many users this is affecting and they may, I stress the may, well contact you to get more information if they require it, etc. As I have said previously, you are well protected by the other WSA modules but I am sure that the Support Team will want to get you back fully up and running with all features as soon as they can nail the cause of this sporadic issue. Many thanks again for pitching in with info. Much appreciated. I looked in the Application protection and all instances of chrome old and new were all checked as protect anyway none were set to deny. My brother also has the exact same problem with chrome and webroot, disabling the identity shield and this also fixed his problem too. Can you look here when Chrome is running to see if it's being Monitored? http://www.webroot.com/En_US/SecureAnywhere/PC/WSA_PC_Help.htm#C10_SystemControl/CH10b_ControllingProcesses.htm also can you tell me what version you are using and if you are using the Developers versions? I have looked and it says there are 8 instances of chrome running and they are set to allow. Can you please do a clean reinstall of WSA? Download a Copy Here and make sure you have a copy of your keycode then Uninstall WSA and Reboot and install with the new installer let it finish it's install scan then Reboot once again and please let us know if that corrects your issue also don't import any settings just set it up the way you like after! I tried disabling Identity Shield, and Chrome is now back to normal. I re-enabled it, Chrome went back to sleep. I re-disabled it Chrome woke up again. However, I do not know how to report the information requested. I see things like "can you tell me what version you are using?" 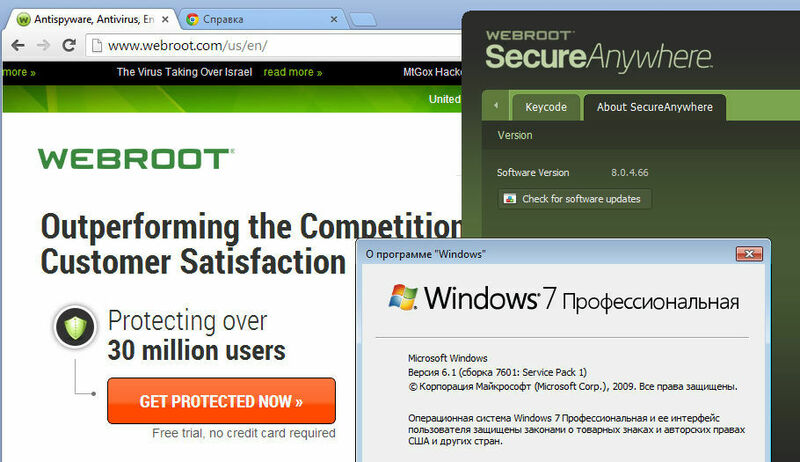 Where does it say what version of Webroot one is using ? There is no Help/About that I can see, Webroot is one of these new-fangled programs which expects you to be psychic (rather like Android apps in that respect). Help just takes you to an online guide (not much use if your browser isn't working !). And as for "note the version of the Filtering extension that you now have disabled", where is that information hidden please ? I know that it can be a little difficult sometimes when reporting issues but best bet is to just explain the issue and what you have done in your own terms and then Support will query anything that they do not understand. In terms of the Webroot Filtering Extension you can disable it/find the information required by clicking on the three horizontal lines icon just under the 'X' in the top righthand corner of the browser. 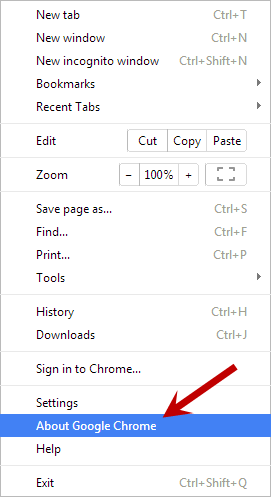 From the context menu displayed navigate and hover over the 'Tools' entry and that should open up a further context menu on which you click on the Extensions entry to open the browser page showing all your Chrome extensions. Towards the bottom of the list you should see the two Webroot-related extensions, and next the the Web Filtering one you should see the version no. (in the format v1.2.3.45) and to the right of that is a check box to enable/disable the extension itself. Disabling the Webroot Filtering Extension did nothing for me. I have since uninstalled Webroot and Re-Installed it but this did nothing and it is still causing problems with chrome. So as of now I have got identity shield disabled and have created a support ticket. So we will see what happens. Thanks. I can certainly explain what I do and see on my PC and what I have done in clear terms. I was not aware that the extension thing referred to in this thread is something you find in Chrome, not in Webroot. And the program version presumably therefore refers to the version of Chrome, which I do know how to find. I simply disabled the identity protection setting in Webroot itself. Thanks sorry the reinstall didn't work and the Support Inbox would be the next step so please let us know the outcome as it could help others. Like I said it's working fine here. The reinstall was worth a try as it usually fixes most things, I was simply stating my findings and not trying to be ungrateful. Sorry if it came across that way. When I hear back from support I will let the forum know of my findings. Never we just try a few things and the Support Inbox is the last suggestion!